The combination of The Hate U Give enticing movie trailer and the advertisements for showtimes around you, it’s hard to avoid wanting to see it. The movie revolves around African American Brutality through the perspective Starr (played by Amandla Stenberg), a student who stands up for a lost loved one to the cause. The movie addresses many racial issues in our society today besides police brutality. It addresses stereotypes, general racism, and many other acts through the plotline. Antagonist Starr attends an “unsaid” all-white high school, being African American; but struggles in dividing her free time between her “school friends” and “home friends”. Although the film covers many serious and controversial topics, it also maintains a humour that keeps the viewer interested. The Carter family dynamic is absolutely hilarious and entertaining. If the movie doesn’t have it all already, think again. The thrill in this film is unbeatable. There is crime, action, mystery, and everything in between to keep you on your toes. The Hate U Give deserves a six out of five stars. It is funny, interesting, thrilling, and most importantly, forces a self-reflection in the end. 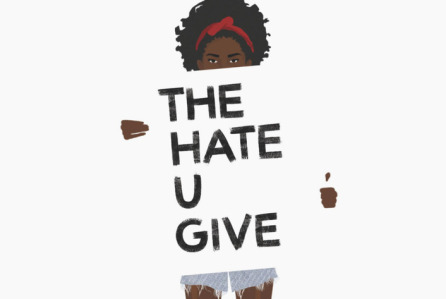 Fun Fact: The Hate U Give stands for THUG. Full sentence (THUG LIFE)= The Hate U Give Little Infants F***s Everybody.